We're planning a few significant updates to Guild Wars next week, and we wanted you to know about them in advance. Find the latest plans on the Game Updates page. Prima has just published their Official Guild Wars Eguide. At 244 pages, this online guide offers maps, strategies, detailed skill and item information, and much more. Find the Eguide on this link. The Prima Guild Wars Strategy Guide will be on store shelves on May 30th. The Fansite Friday mini-interview is presented this week by a new member of the Guild Wars Fansite Program, Guild Wars Bulgaria. This site puts the number of languages for Guild Wars Fansites to 17! Read about elite skills, the trade system and future updates here. This year's E3 2005 was an exciting event for Guild Wars, following as it did on the successful global launch of the game. The Own the Devs and Aim for the Stars guild-versus-guild competitions were a real fan favorite. We offer an event report and photo gallery here. Our Wallpaper of the Week presents what Art of Guild Wars calls, "An early treatment for a gateway to a mysterious volcanic crater." View the image, and select your choice of desktop sizes, on this link. Due to the proliferation of casinos and their potential for player abuse, we will be blocking the accounts of those who advertise or operate casinos or other gambling schemes within the game, effective immediately. Players should be aware that casinos are a breach of the Rules of Conduct, as is the advertisement or promotion of cheats, hacks, of exploits. None of these things will be accepted within Guild Wars. This week's featured guild is Zealots of Shiverpeak, a guild formed about a year ago expressly for Guild Wars. You can read about ZoS, and meet a few of its members, over here. We will be making a change to the Celestial Sigil distribution system. Read about this upcoming change on the Game Updates Page. The Guild Wars Online Manual that initially presented the Getting Started Section upon the release of Guild Wars has now grown into a full-scale player's guide. This living document will continue to expand over time, offering a growing resource for players of all types. The English version of the manual is on this link and localized versions will be available in the coming days. Today's in-game movie unveils Sorrow's Furnace and Grenth's Footprints. These two new explorable areas will be part of a free live Guild Wars update that will be streaming to players in the coming weeks. Find the movie here. As part of our commitment to bringing you new content via our free live updates, the first streaming update for Guild Wars offers players access to two extensive new explorable areas: the barren expanse of Grenth's Footprint and the fiery depths of Sorrow's Furnace. You can get a sneak peek at these two areas today, with concept art and a bit of the lore on this page. And on Wednesday, we'll preview this area with an in-game movie, a movie that will also be screened at the E3 trade show in Los Angeles. Due to popular demand, and recognizing the dynamic nature of the Guild Wars Ladder, we're expanding the options for guild participation in the Own the Devs and Aim for the Stars contests that will take place during E3 next week. Guilds in the Top 100 may register for hourly competitions that will be broadcast on the E3 show floor. Registration deadline is Noon Pacific on Sunday, so sign up now! Details here. A minor update was made to Guild Wars this afternoon. The changes have been noted on the Game Updates page. We've added a significant update to Guild Wars tonight, offering new quests and templates, account storage options, and many other features. In addition, you'll find several game tweaks and improvements. Find the Update Notes here. Accept the E3 Guild Challenge! Top Guild Wars guilds are invited to participate in a special E3 event! We are offering the opportunity for guilds join our Own the Devs and Aim for the Stars competitions. Find out more, including dates, times, and prizes, over in the Events Section, on this page. The latest in our wallpaper collection comes from one of the more distant regions of Tyria, the Crystal Desert. Your choice of image sizes can be found here. A new Guild of the Week feature focuses on Negative Zero, a guild that has been involved with Guild Wars for several months now. Read about them on this page. Fresh on the Web you'll find reviews from Game Ogre and UGO. You'll also catch first impressions from NerfBat and Gameplay Monthly along with updated impressions from Gamespy. An update to Guild Wars will be taking place later this week. You can learn more about what will be included in the update now, on the Update Notes Page. Today's review list includes a 9.3 rating and an Editor's Choice award from Game Zone. Meanwhile, on RPG Vault, you'll find Jonric's detailed first impressions article where on Penny Arcade Tycho shares his thoughts and adds a charming confession later in the day. A Swedish review is available on Game Reactor, where a different review is available on the Danish-language Game Reactor site, here. Our community sites are doing a great job of providing players with valuable resources. GWOnline.net offers a Character Advancement Guide, Guild Wars Guru presents a new Skill Listing, Guild Wars Vault offers a Template Database and the 17th Issue of the Photics Ezine offers a Guild Wars Starter Guide. One more review for your perusal, a 10 out of 10 on Games Xtreme, and a 9 on Games Domain. And Fargo of Gamespy does a delightful take on Guild Wars guilds over here. After a brief hiatus to accommodate the Guild Wars release, we're back with the Fansite Friday interviews. This week topics with our French fansite MMORPGS.info - Guild Wars include guild hierarchies, player contributions to the community, guild tournaments, and the friends and guild lists. Click here for English, and cliquez ici for the French version of FF#43. Gamespot has published their review of Guild Wars, an enthusiastic 9.2 and an Editor's Choice Award. Click here. In addition, Inside Gamer Online has also presented their review, on this link. European journalists have also shared their thoughts, on SciFi-RPGs.com, JeuxFrance.com, FactorNews, and MeriStation. If you should develop concerns about a character name that you see — if you feel it is extremely offensive or inappropriate — we've made it easy for you to get in touch. Simply drop an email to us at [email protected] and we will investigate your concerns and take the appropriate action. If you are in playing in the European or Korean regions of the world, please click "Support" on the main page to submit a report. We have updated Guild Wars again, with a few modest changes, fixes, and additions. Find the latest news about changes on our Game Updates page. The first teams have taken their places on the Guild Wars Ladder. At the present time, we have 38 teams ranked, with more joining by the hour. To keep up on the latest, visit this link. We've seen a few pre-review articles appear on the 'Net. 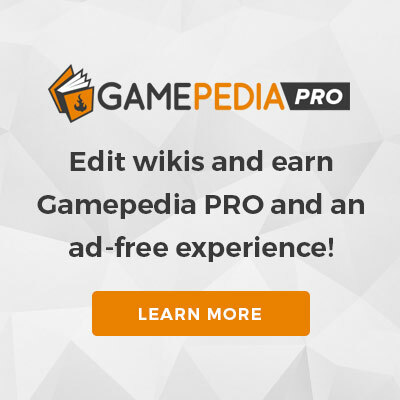 Find the latest on Gamespy, Game Helper, and Gamespot. This page was last edited on 3 June 2008, at 00:26.